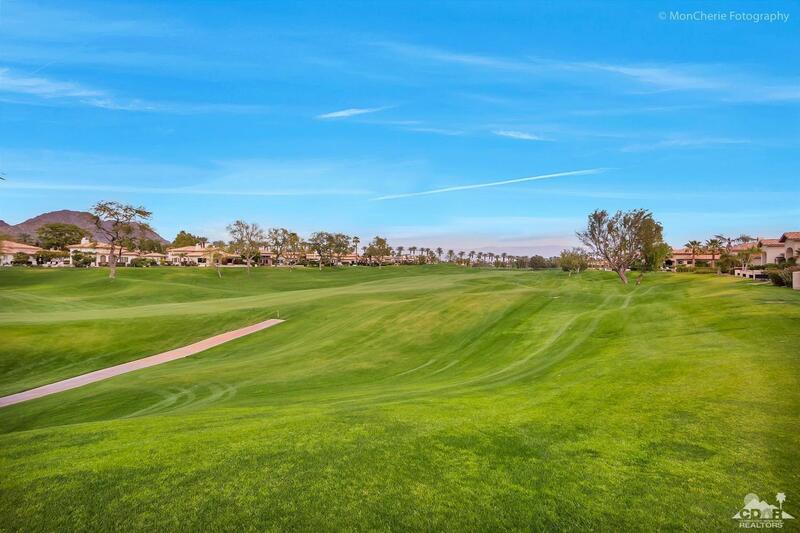 Gorgeous western Santa Rosa Mountains view, overlooking the 3rd fairway of the Robert Trent Jones Course. 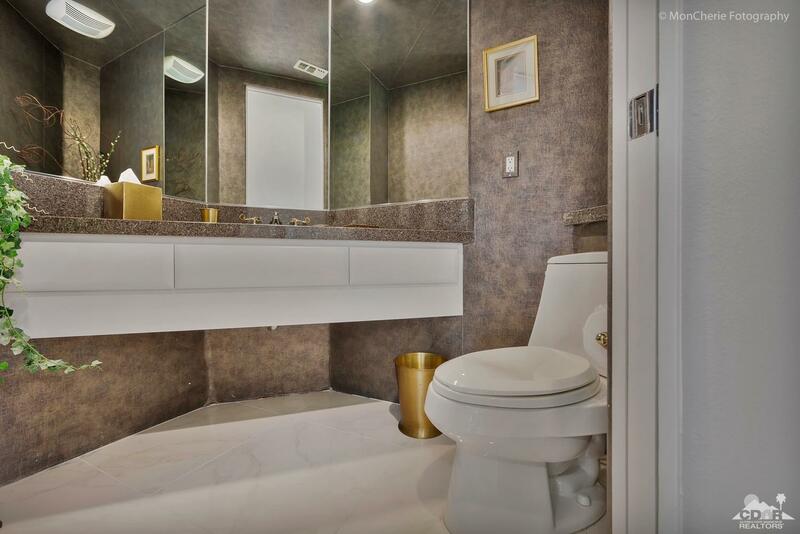 Extensively remodeled in mid-2017, no expense was spared. 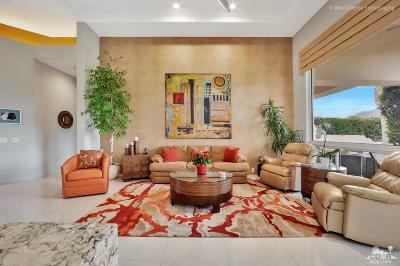 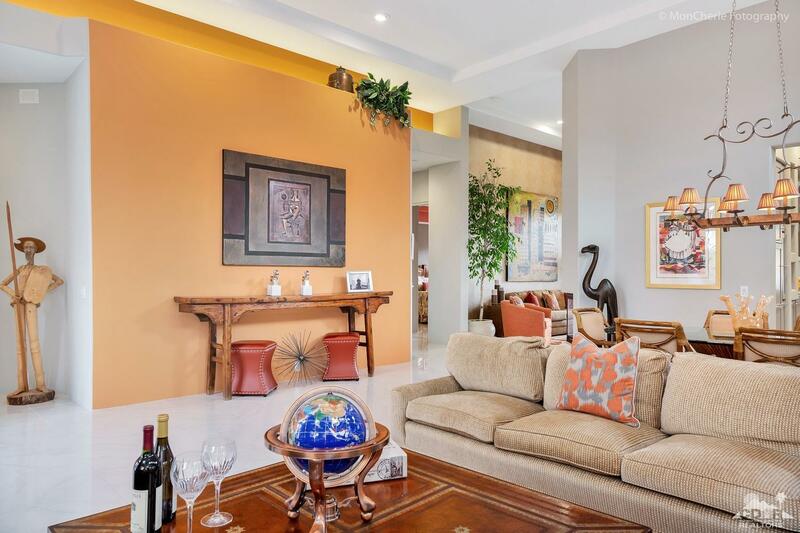 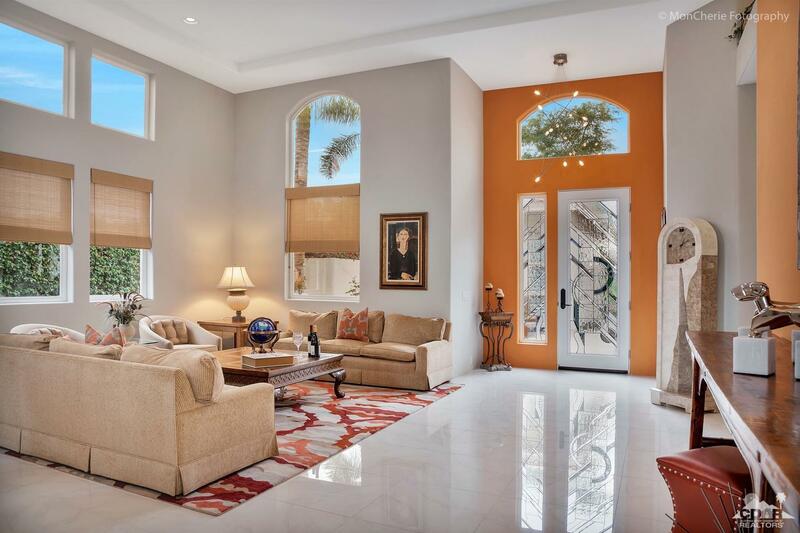 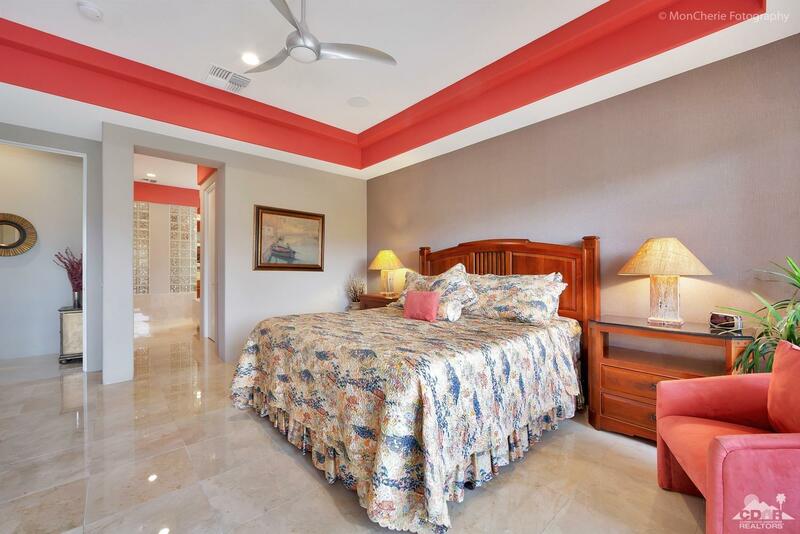 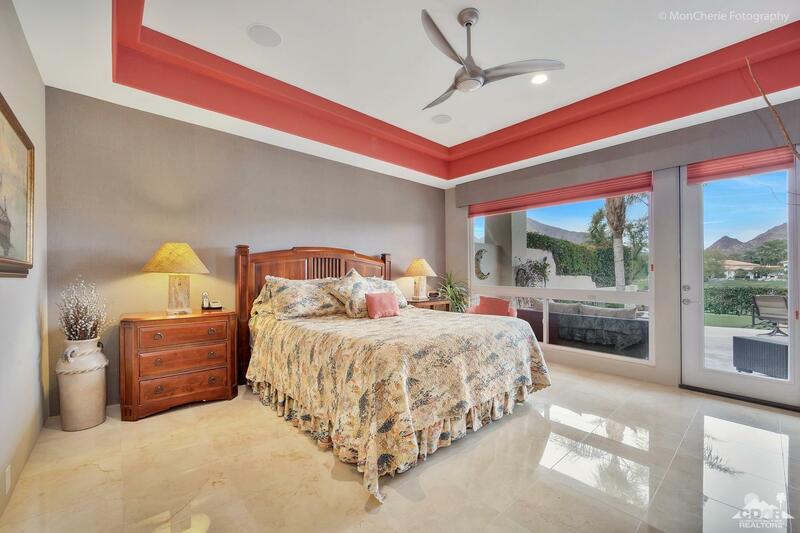 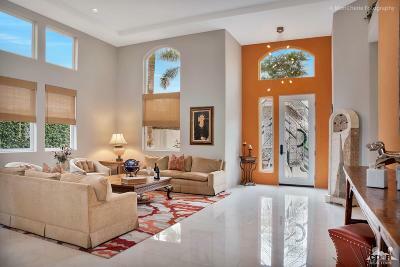 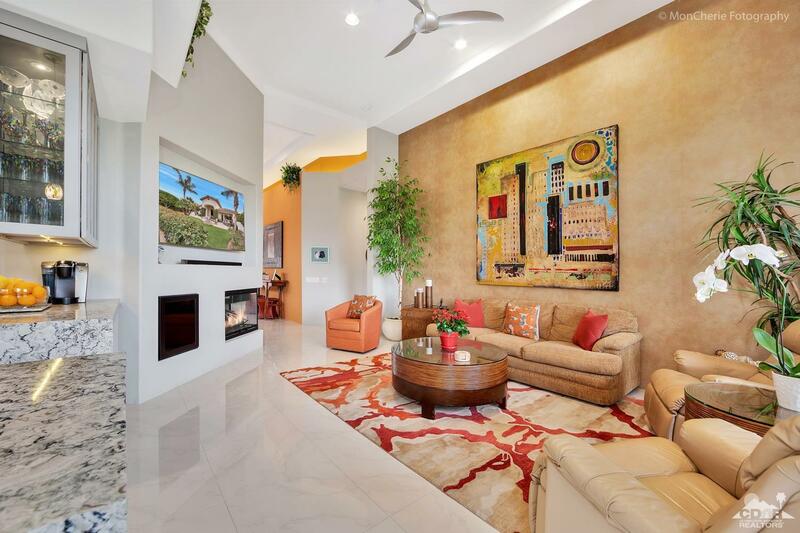 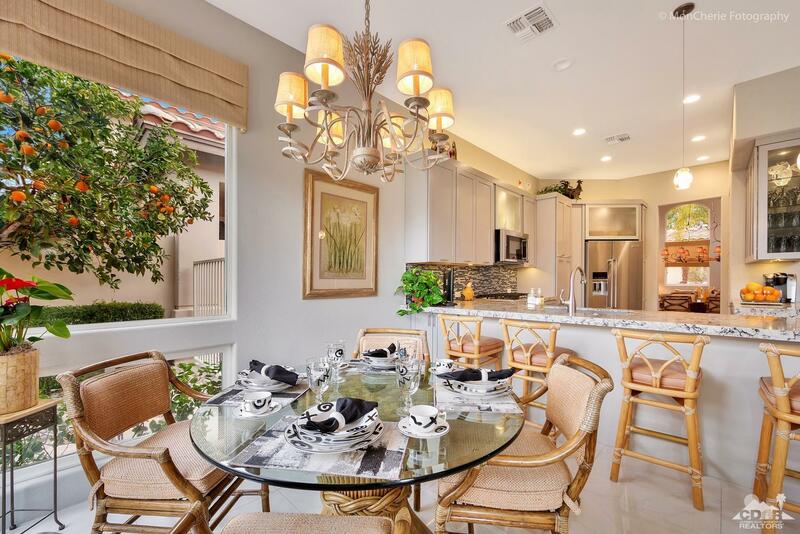 This Terraza II with stunning details features an open floor plan with high ceilings. 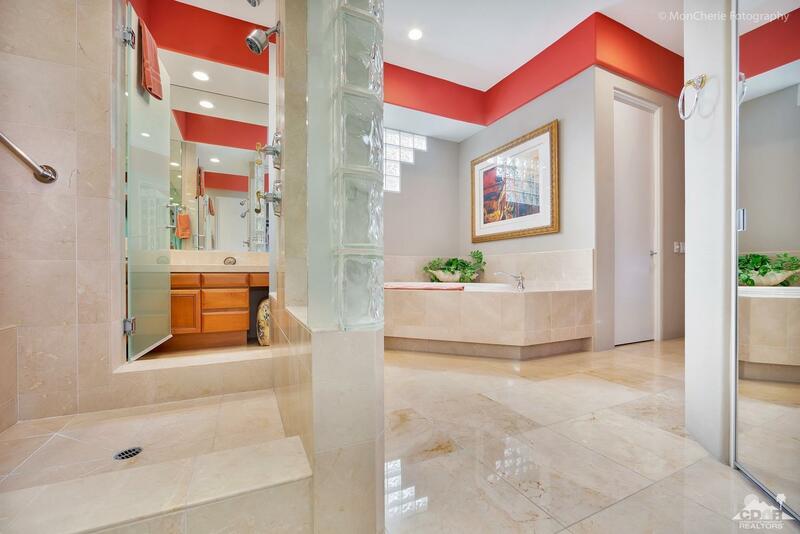 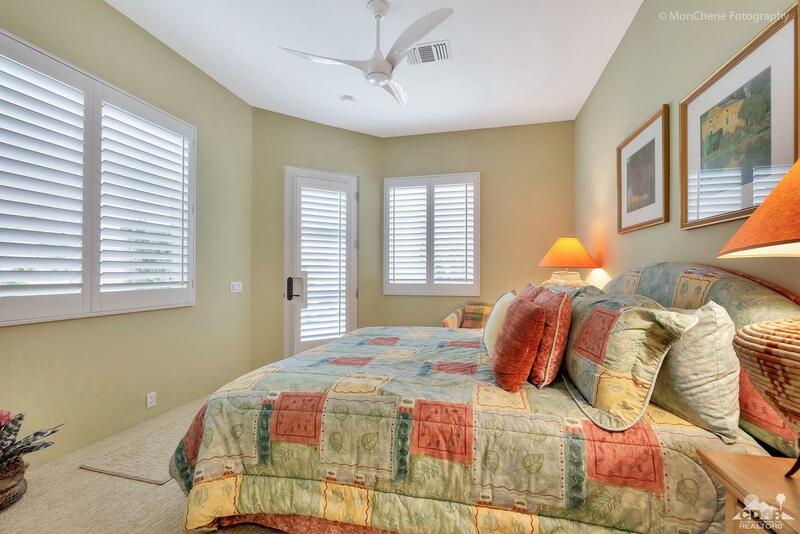 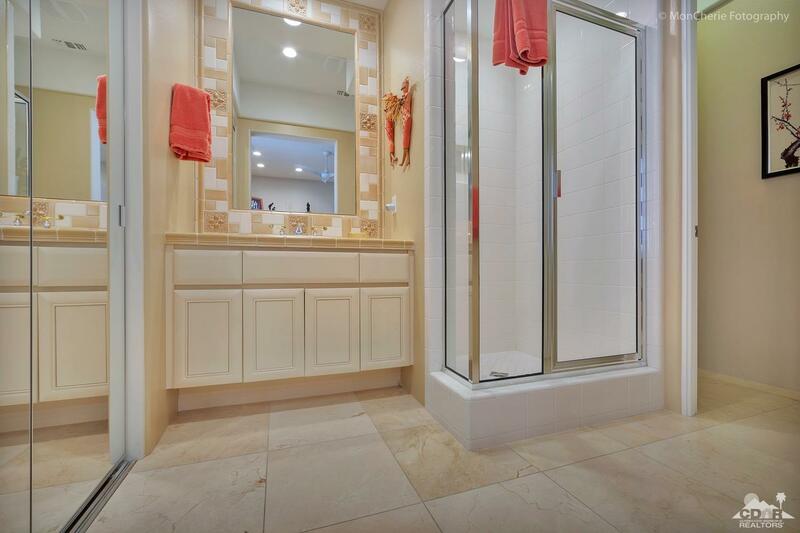 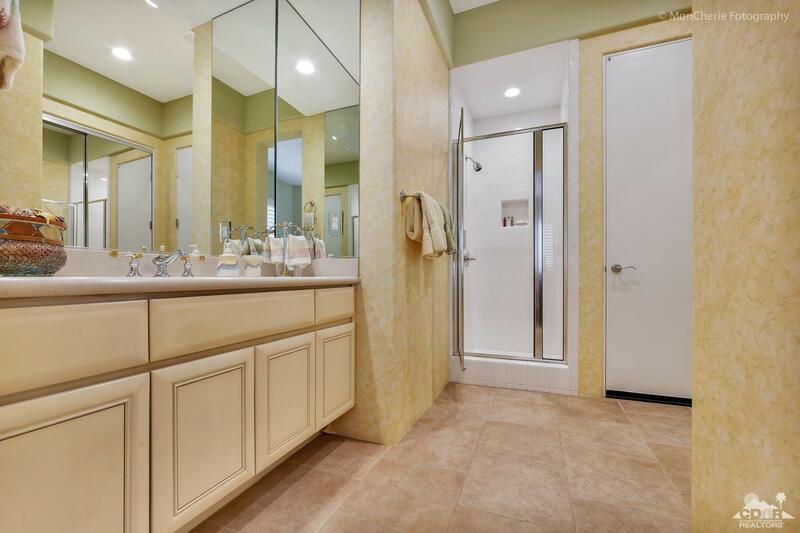 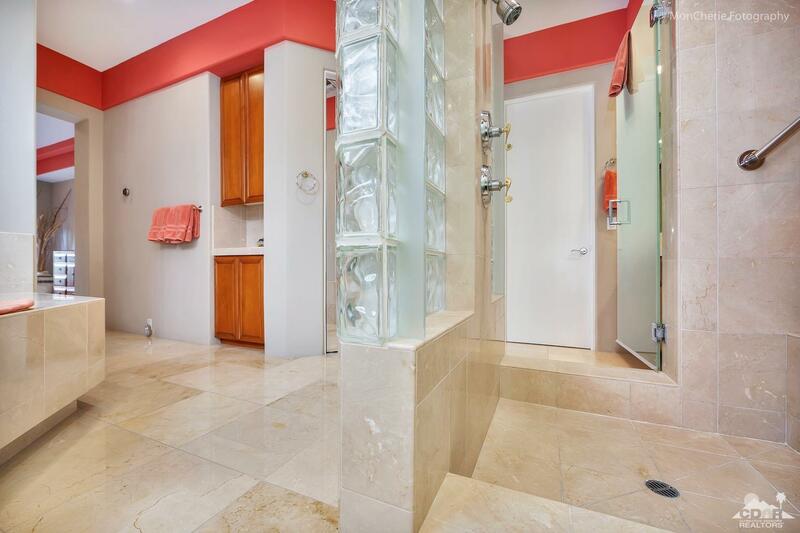 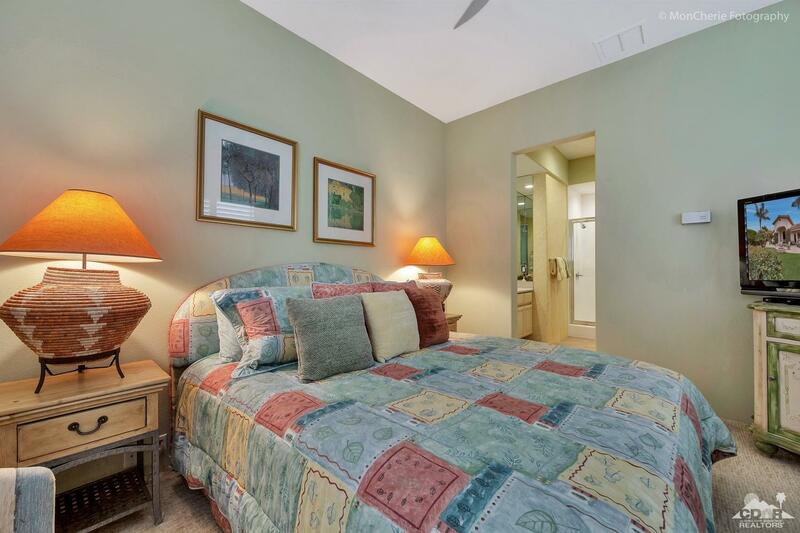 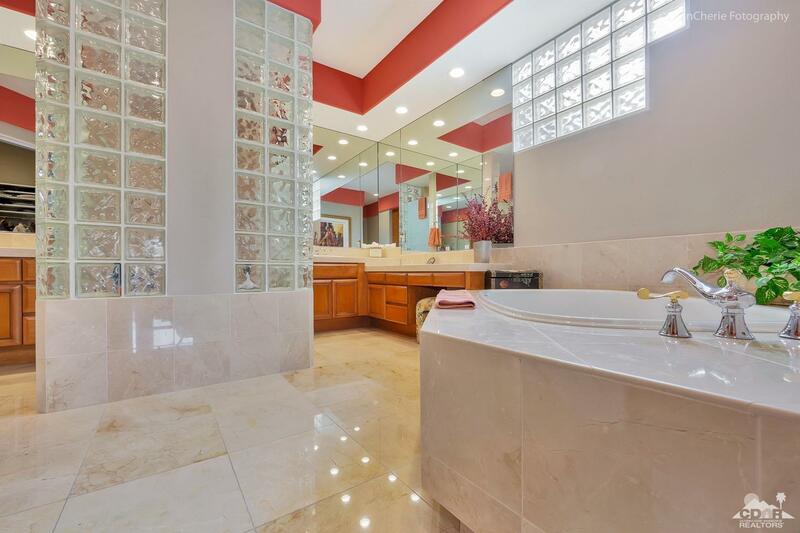 The fresh, inviting and neutral color palate, high-end kitchen, gorgeous tiled floors, contemporary fireplace, LED canned lights and much more await you in this 3-Bdrm (en-suite), 2, 648 SF home with detached CASITA. 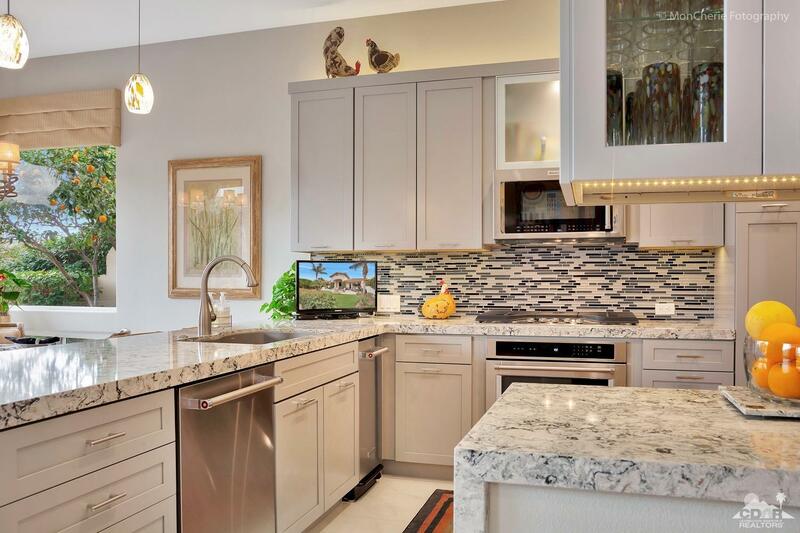 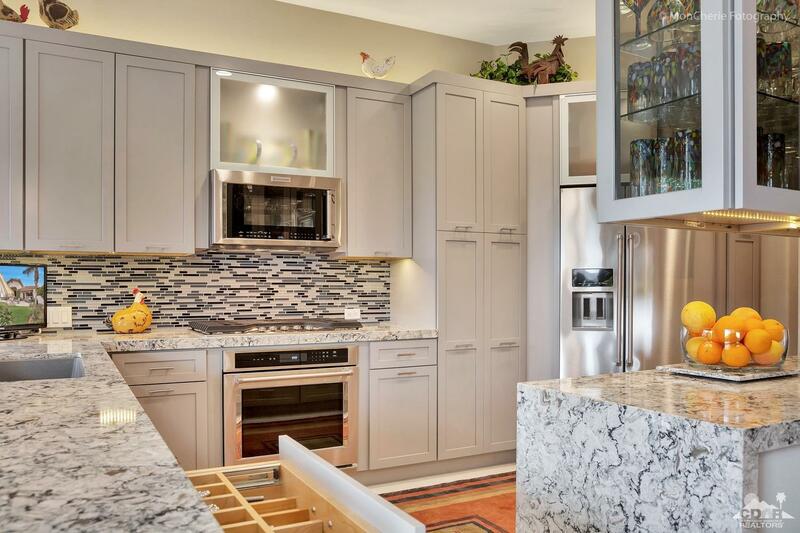 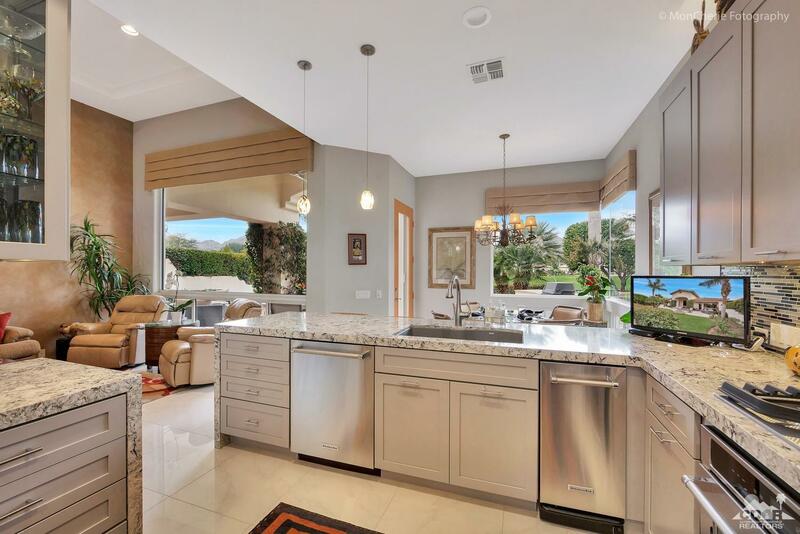 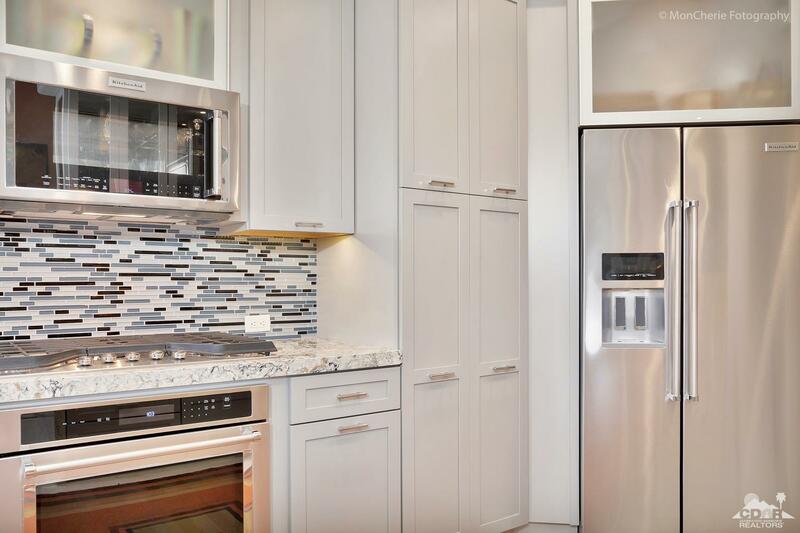 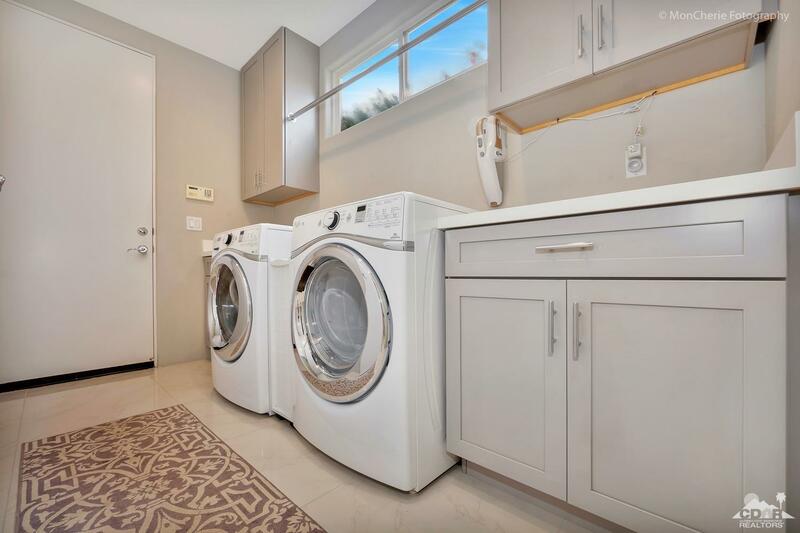 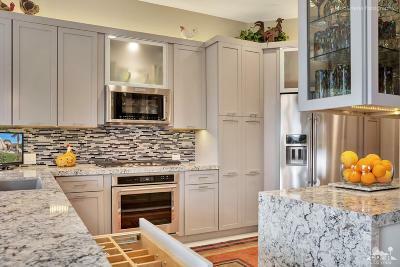 The kitchen is a cook's paradise and has been completely remodeled with contemporary Shaker cabinets, waterfall Cambria quartz countertops, KitchenAid appliances, Blanco sink, custom pull-out pantry, pendant lighting and more. 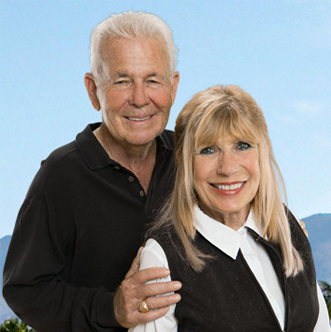 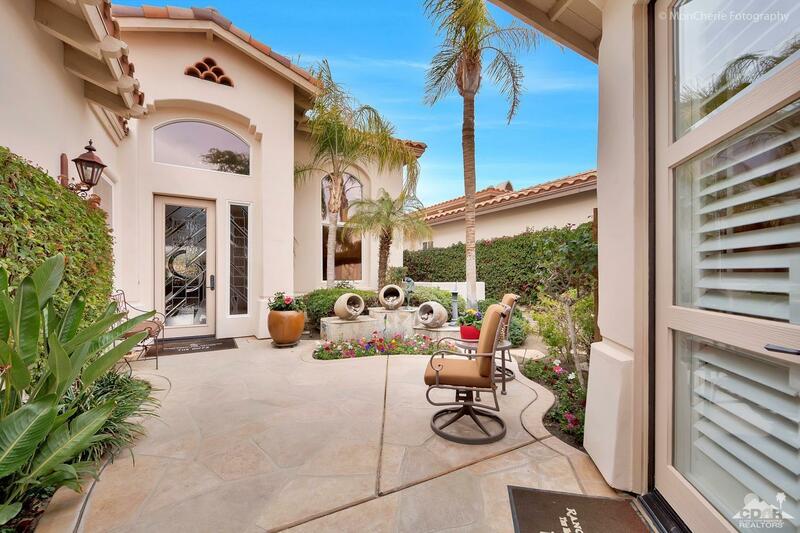 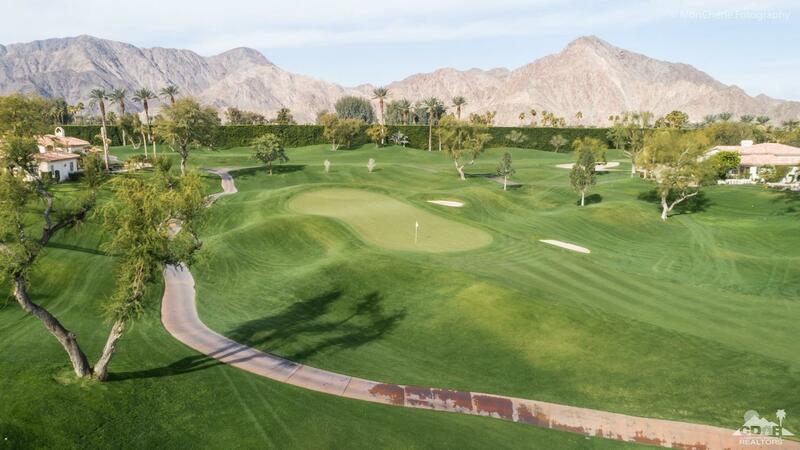 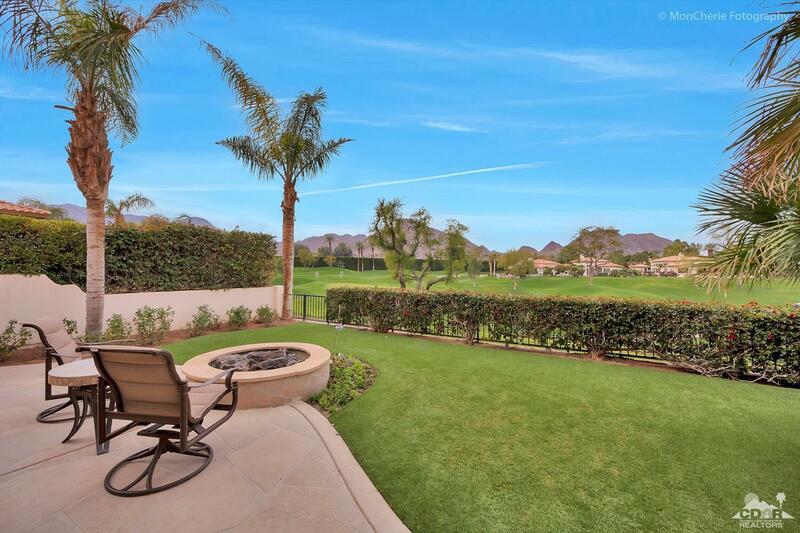 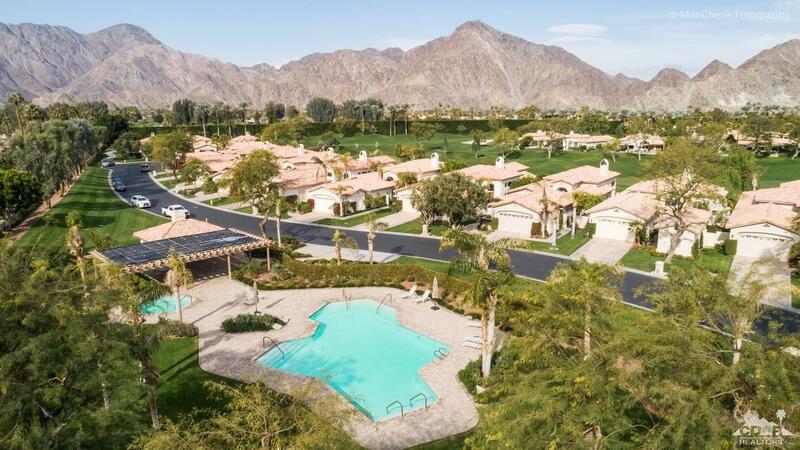 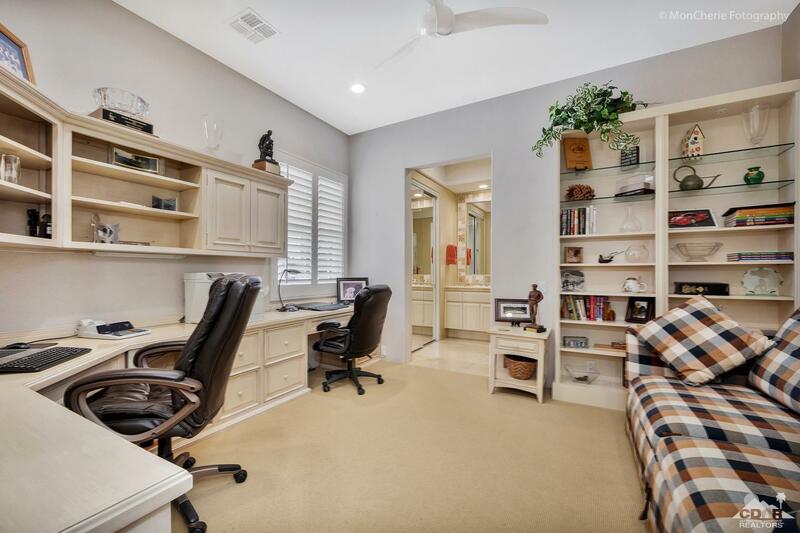 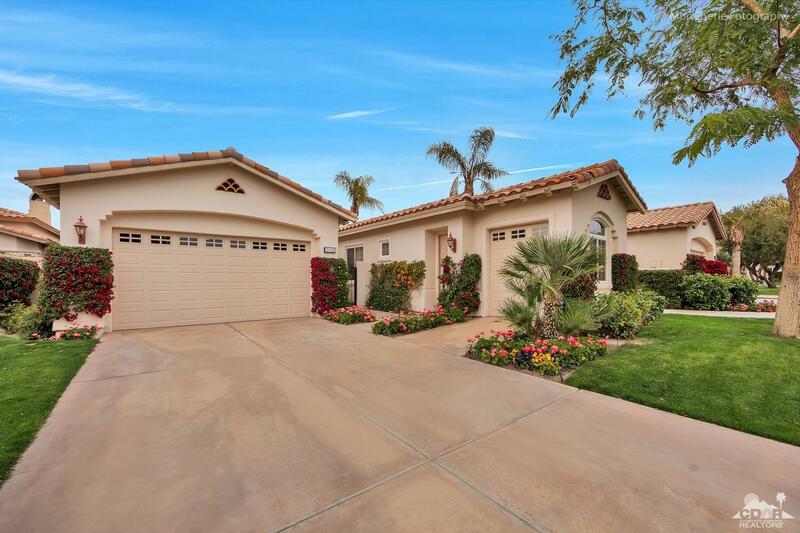 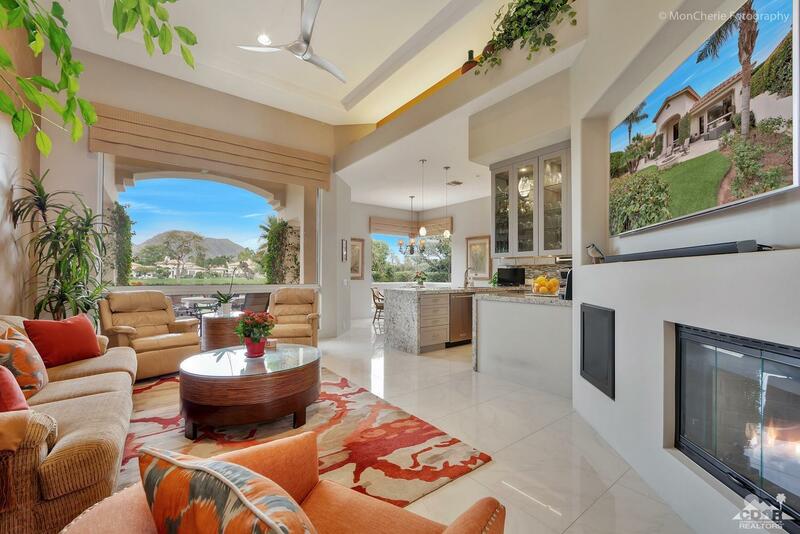 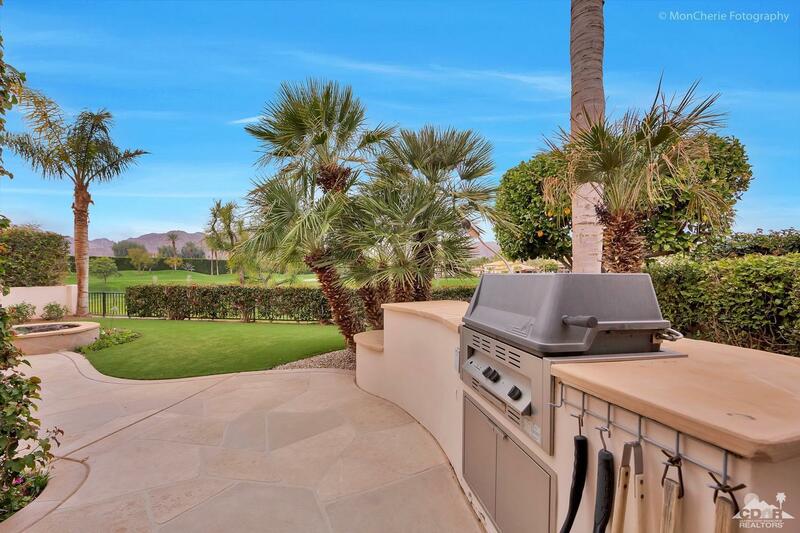 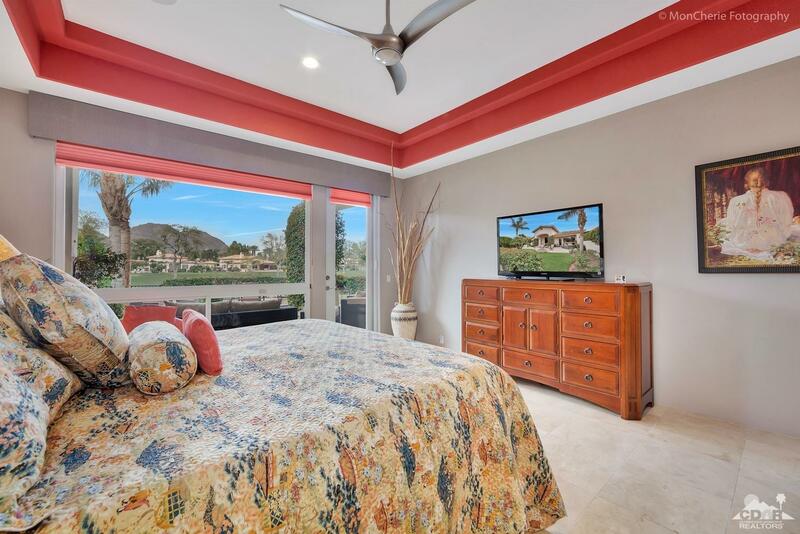 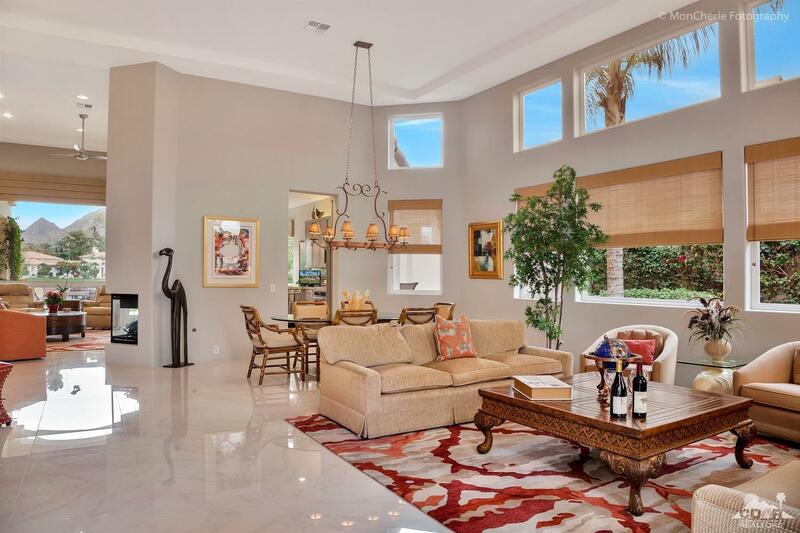 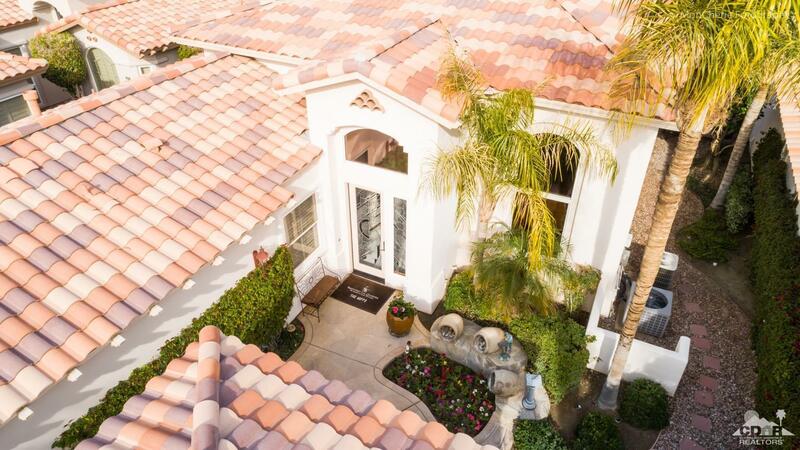 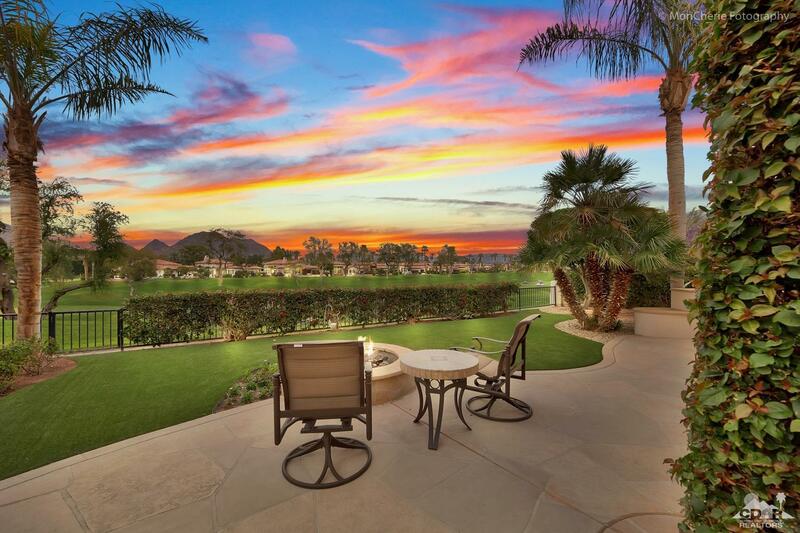 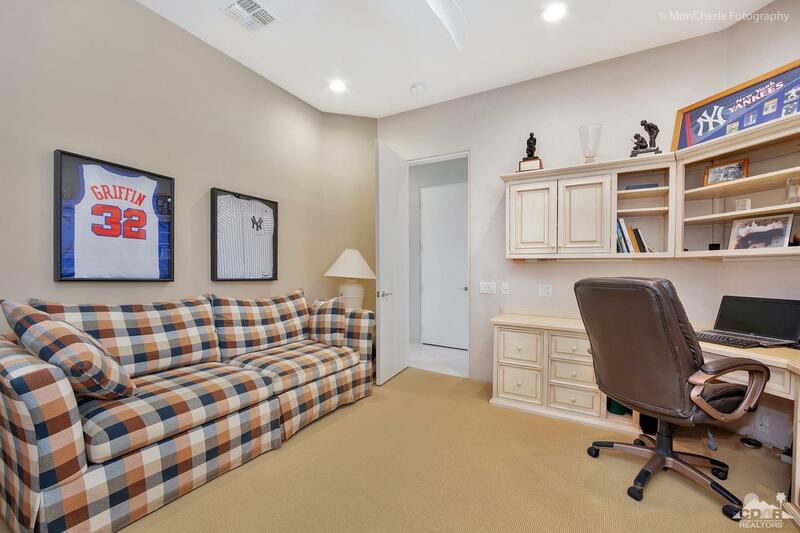 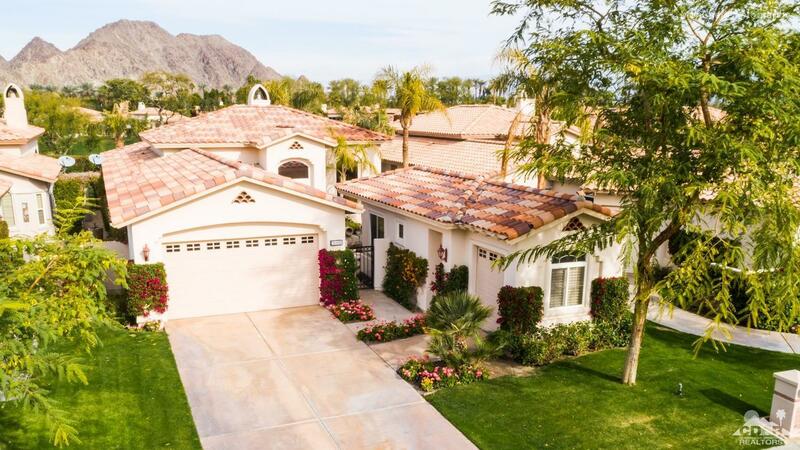 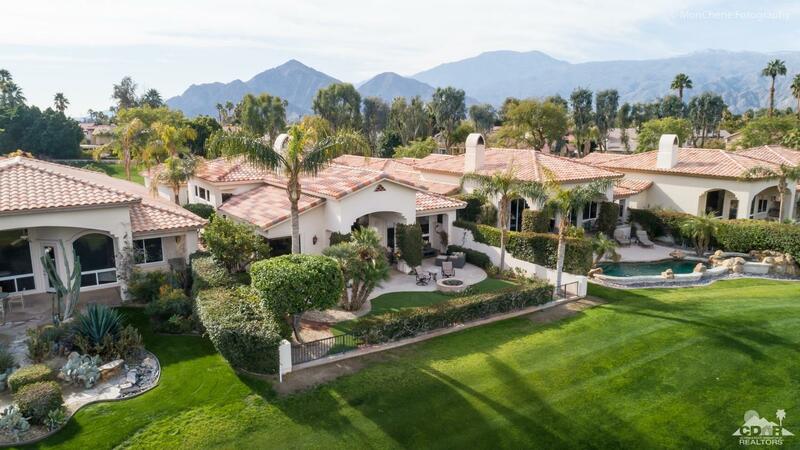 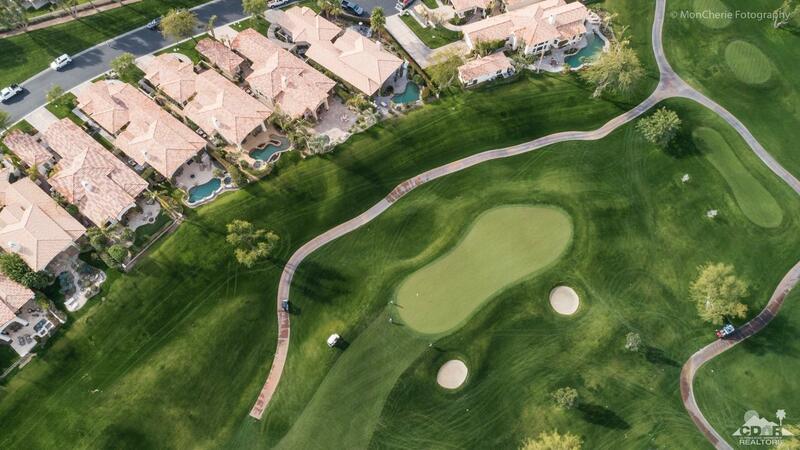 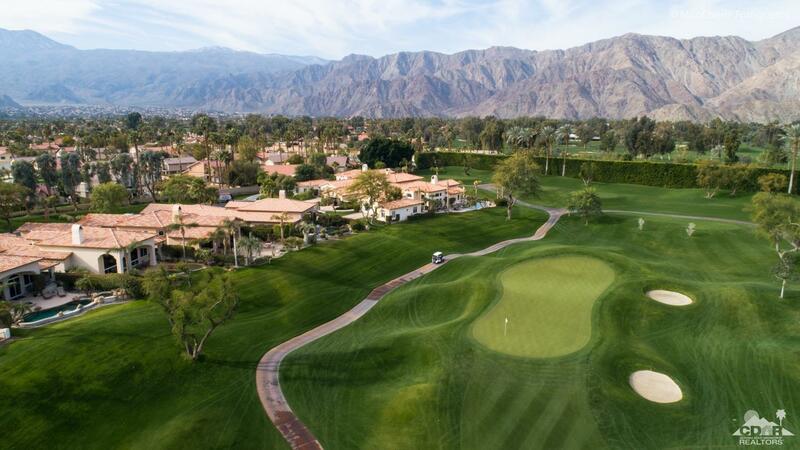 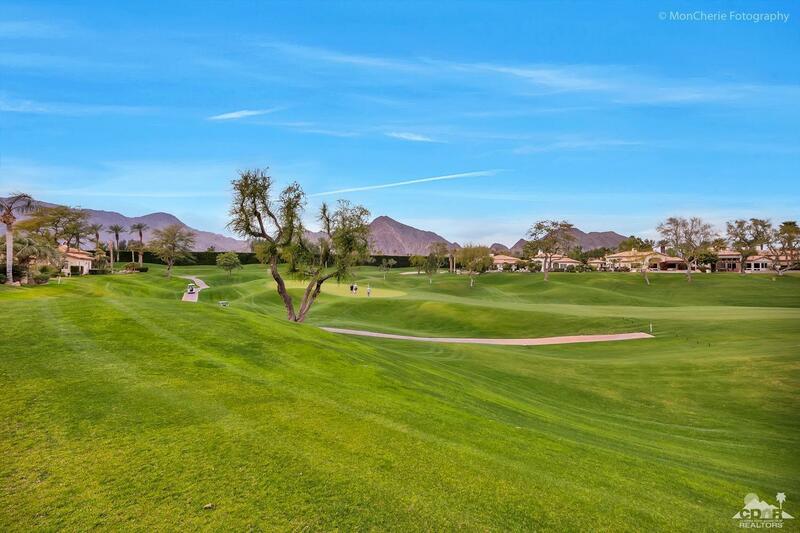 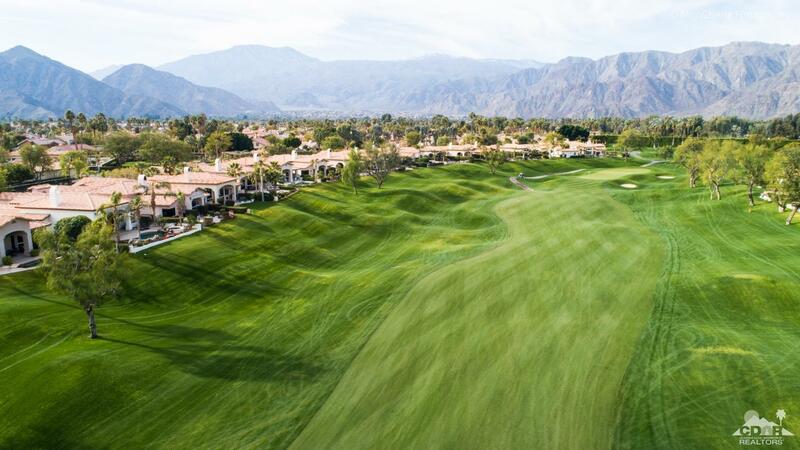 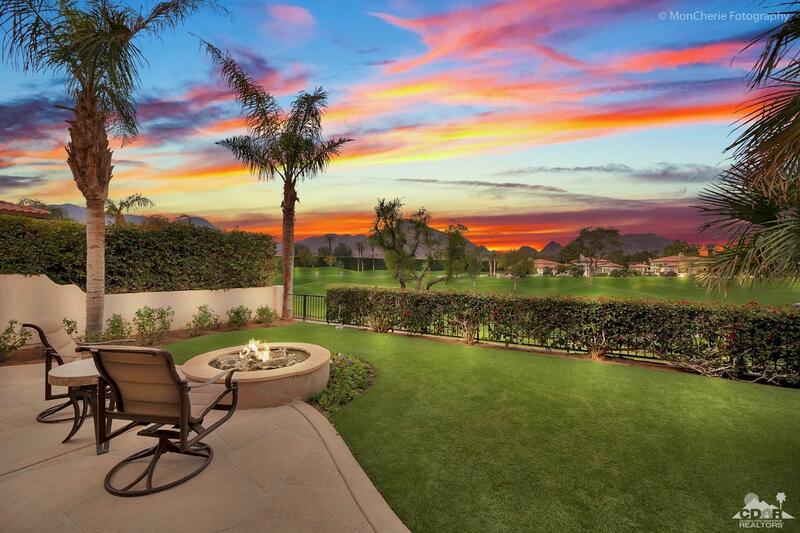 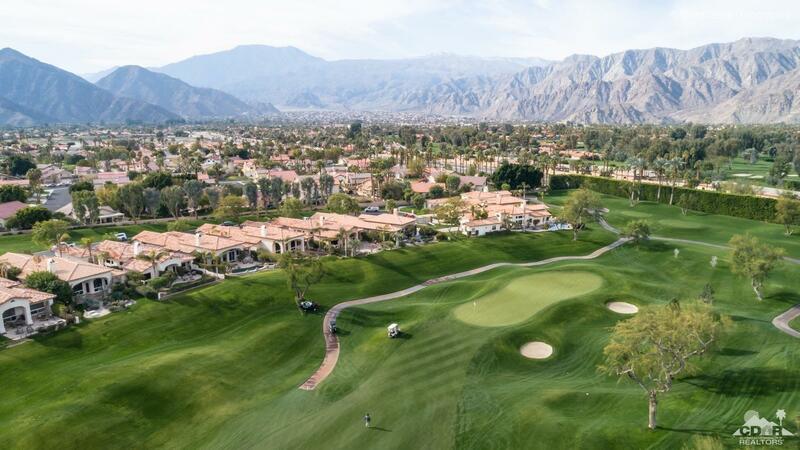 Nestled within the private gates of Rancho La Quinta CC, this development is in a class of its own w/tennis courts, two golf courses, fitness center and a securely gated dog park. 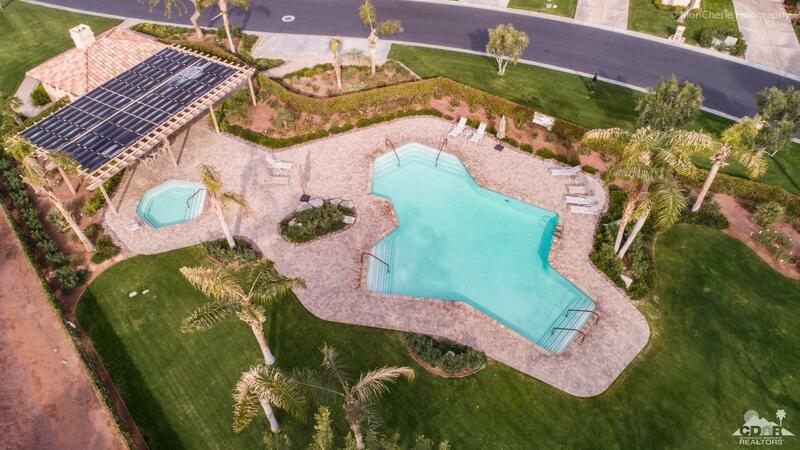 Community pool across the street. 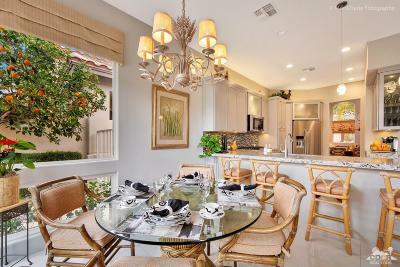 Home is being offered furnished per seller's inventory. 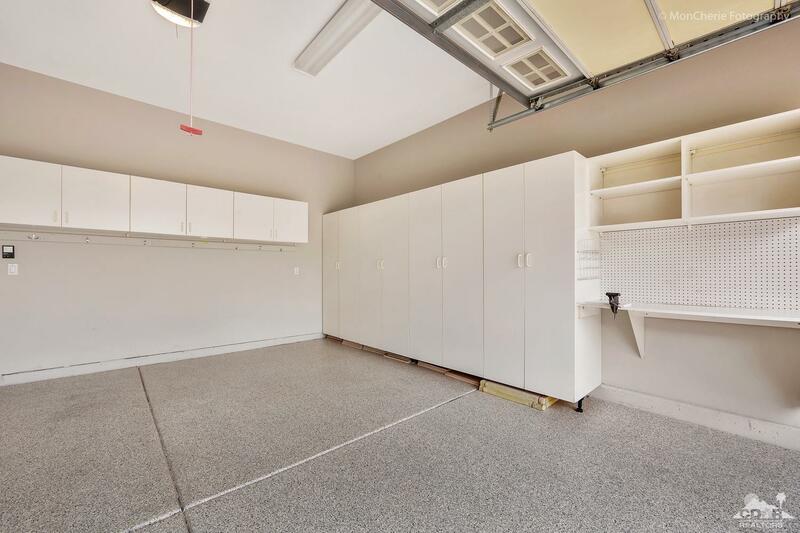 Included in Sale: Partially furnished per Seller's inventory.